A rendering of The Bezu which is proposed for 100 4th Avenue North. With demand strong and land at a premium in Downtown St. Pete, real estate developers are increasingly turning to small parcels of land for large-scale projects. Most recently, The Bezu, which was announced last week at 100 Fourth Avenue North, is a proposed 24-story luxury condominium building at the site of the previously proposed Brownstones townhome project. That project, which was delayed for various reasons, proposed four large townhome units reminiscent of New York City’s brownstones. This new tower proposal is much denser in land use and features a sleek, modern building with 24 residences. 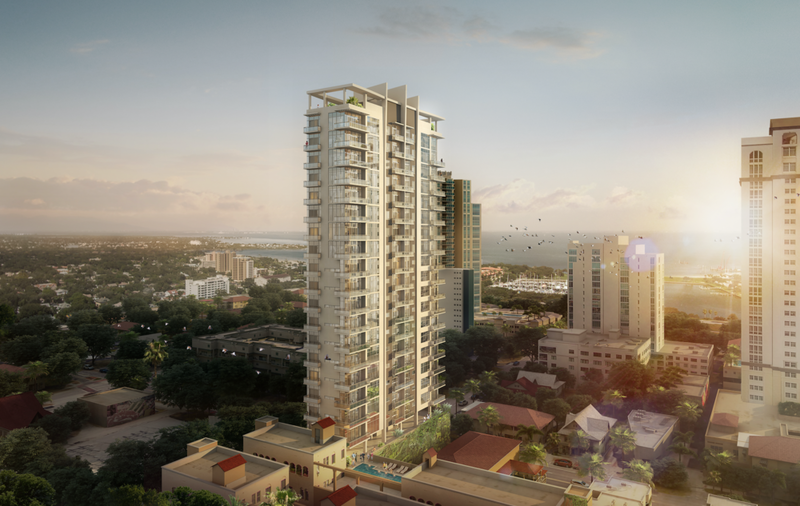 The Bezu, which is a play on the French word “bisou” meaning kiss, promises to be an intimate boutique condo tower with five floors of parking topped by seven floors containing two condo units each and nine floors featuring one condo unit each. 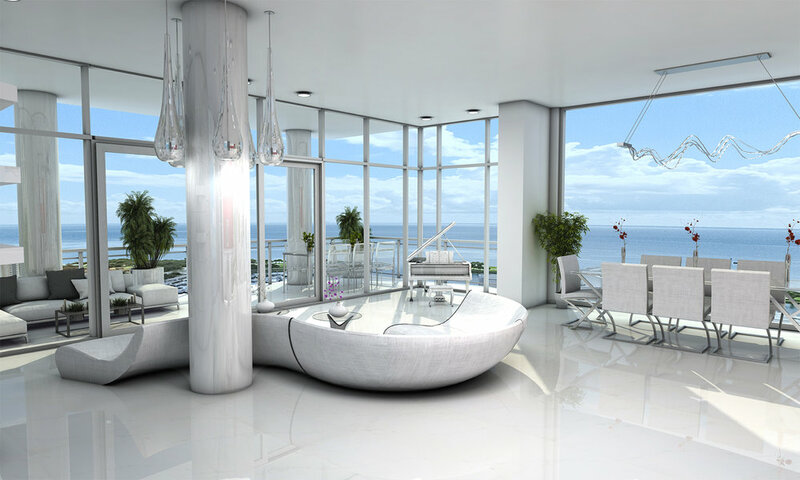 The top three floors will feature a single penthouse unit with a private rooftop infinity pool. 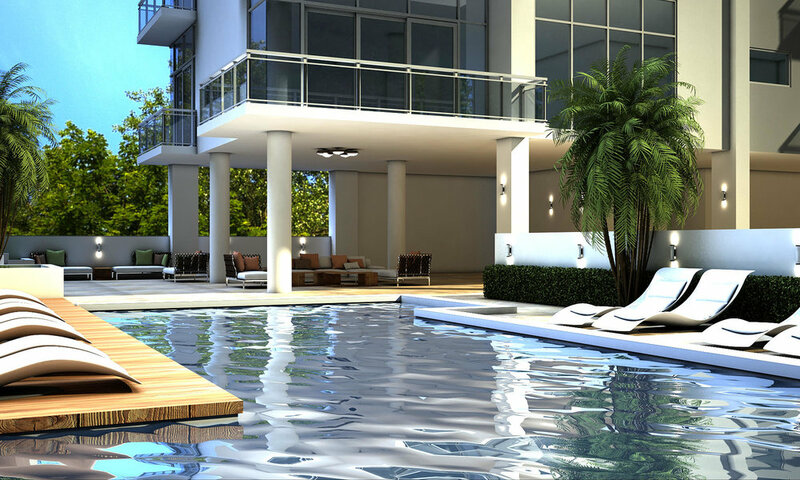 The Bezu will feature an open-air pool and hot tub which will be located on the 6th floor. 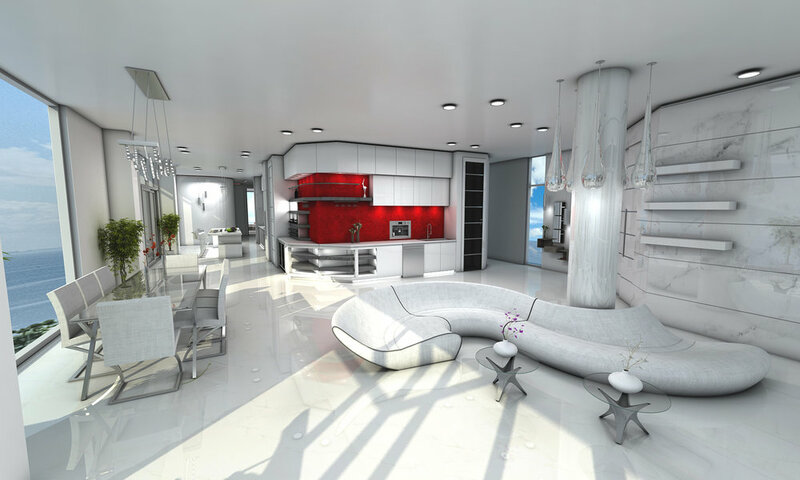 Architectonics designed the building while Huda Ben-Ghuzzi designed the interiors. “Technology merges with nature like two people engaging in a kiss… delicate and simple, yet powerful and electric,” says Ben-Ghuzzi about her thought process when designing the interiors. With features such as built-in espresso machines and textured accent walls, the residences have a uniquely modern European feel. The team is hoping for construction to begin in early 2018 with completion in the second quarter of 2019. 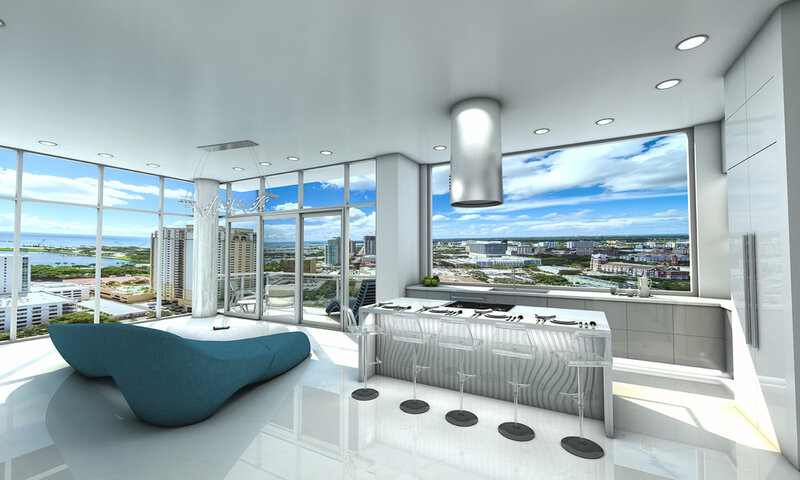 Given the high demand for new construction in Downtown St. Pete, sales should be strong. A neighboring, recently completed condo tower, Bliss, sold out nearly 6 months prior to its completion in early 2017. And Bliss isn’t an outlier; condominium sales in most of Downtown St. Pete’s newest residential buildings have remained strong. With limited supply and overwhelming interest, a few other projects have also reached sales milestones. The Salvador, a 13-story building at 199 Dali Boulevard, officially sold out after reaching completion earlier this year; while ONE St. Petersburg, the 41-story tower currently under construction at 100 First Avenue North announced it was 85% sold, more than a year before its anticipated completion. Pricing for the units at The Bezu are expected to begin in the $600,000s and go well past $2 million. To sign up for more information on Bezu, visit their website.